Ringwood, actually referred to as a borough, is a lovely little place in beautiful Northern New Jersey’s Passaic County, just a stone’s throw from the New York state border. If you are asking yourself how in the world the Snob got there, here’s how the dots connect. 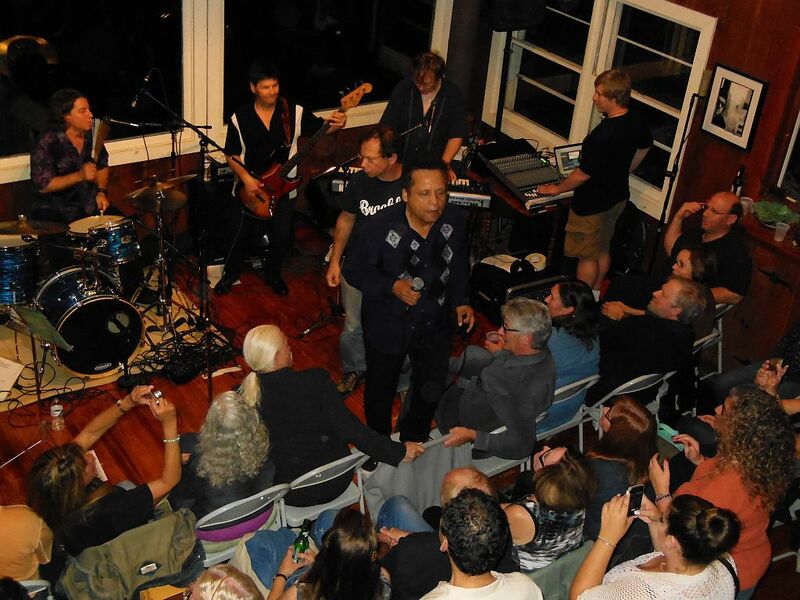 Planning my recent Springsteen trip back to the Garden State, I spotted on Facebook that the great Garland Jeffreys would be doing a house concert at Live @ Drew’s in Ringwood. (Listen to his classic “Wild in the Streets”.) In booking my attendance with said Drew, spotting the web address in my email, he replied “Bring an appetizer/snack to share. A Grandma Pie at Ringwood Pizza works. Not on menu. It’s Justin Townes Earle’s favorite pizza.” The plans for a great weekend in New Jersey just got more exciting! My advance research told me that the Ringwood Grandma is similar to a light Margherita pie and not like this traditional style one which is thin and square and made with the sauce on top of the cheese. I pre-ordered the “Grandma” and set my GPS for the wilds of Ringwood, deep in the hinterlands of Jersey. Quite beautiful, it is home to a state park and botanical gardens. 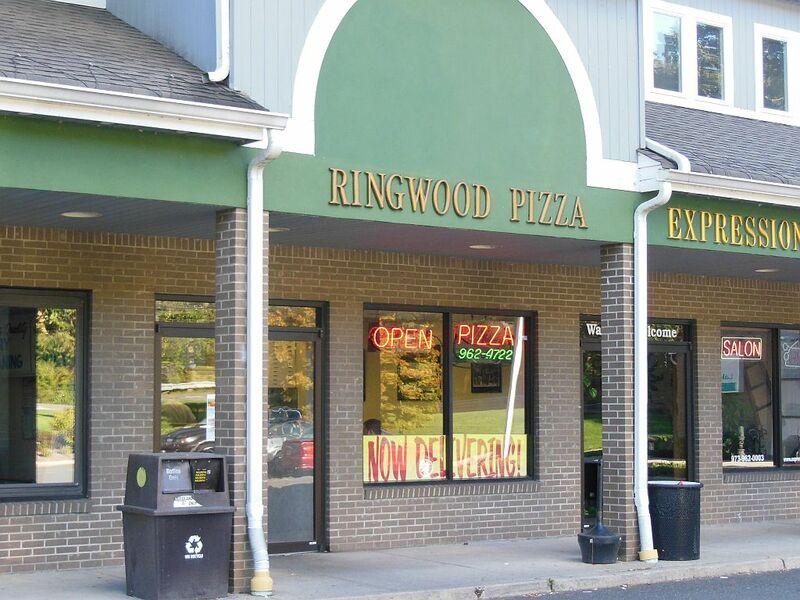 Ringwood Pizza is a nice, clean little joint with a walk-up counter and a few tables in front. Itis situated in a small strip center off the main road, delivery car in front. I claimed my Grandma pie while additionally ordering a plain cheese slice to scarf down for the official Snob test. The slice looked great although small for a typical counter slice. Cooked well, both cheese and sauce were tasty with a nice touch of oil. The crust, perhaps a tad thick, was nicely blackened on the bottom. 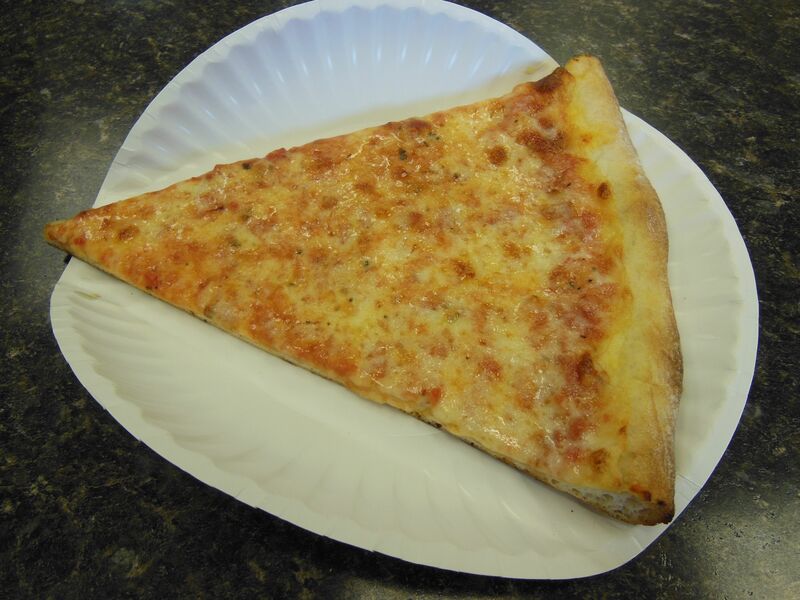 Although this joint was a good 50 miles from Manhattan, they know how to make a truly delicious New York-style slice in the classic way. It was hard to hold myself to only one cheese slice, but I managed in order to save room for the Grandma. Resisting the temptation to open the box to take a peek, I headed a few minutes further up the road to Drew’s. I arrived at his quaint little house on the lake to find that mine would be the fourth Grandma pie brought for the occasion! After making quick pleasantries with some serious fellow music fans, I grabbed my first slice. Just like the Italian flag, it was red, white and green with tomatoes, cheese and basil leaves. So sparse on top, I’d call it “pizza light.” Unfortunately underneath, it wasn’t crispy enough. The Grandma really isn’t much to the Snob’s liking, but I can certainly see its appeal to someone not wanting a heavy pizza experience. I loved Ringwood’s cheese slice, and if I ever venture out again to see another house concert at Drew’s, I think I will bring one of each. Here’s a shot of Garland live at Drew’s. 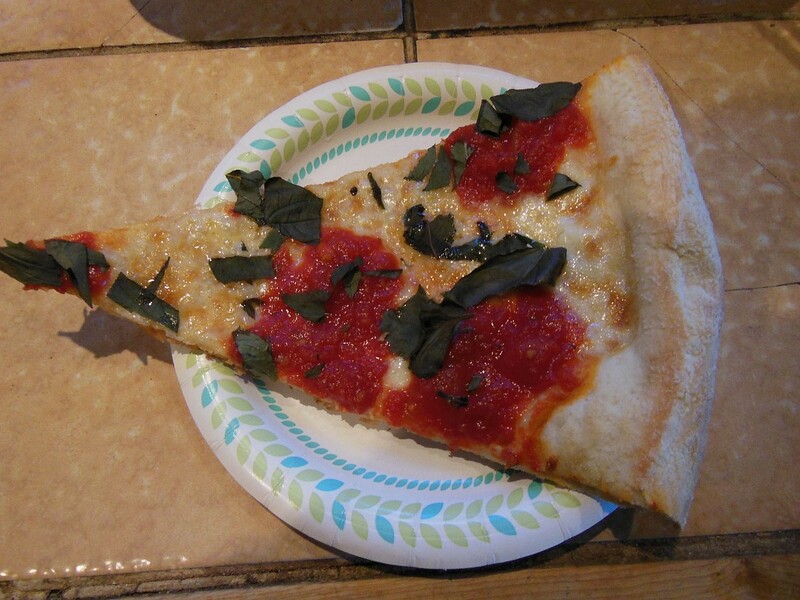 Garland Jeffreys: This is the first time the pizza got more ink than me. Mike, Ringwood Pizza’s not ‘the only game in town’ by any means. There are seven pizza places in Ringwood. I will be sure to connect with them at another of your amazing house concerts in the future. Thanks Drew and I will have another pizza story coming soon about my last visit to Live@Drews.